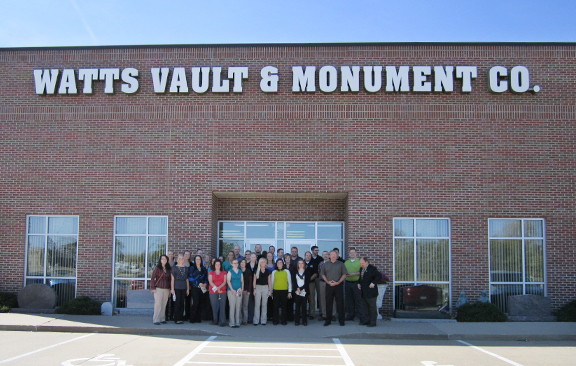 Watts Vault & Monument Company recently hosted a group of mortuary science students from Des Moines Area Community College in Ankeny, Iowa. Watts has been dedicated to helping educate aspiring funeral directors since the mortuary science program was first offered at the college in 2004. During their visit, the students learned about burial vaults, bronze and granite memorials and infant and child products. They also got a chance to tour the manufacturing facility and learn how burial vaults are made. We would like to thank the staff at Watts Vault & Monument for taking time to help educate the next generation of funeral professionals. Keep up the great work!